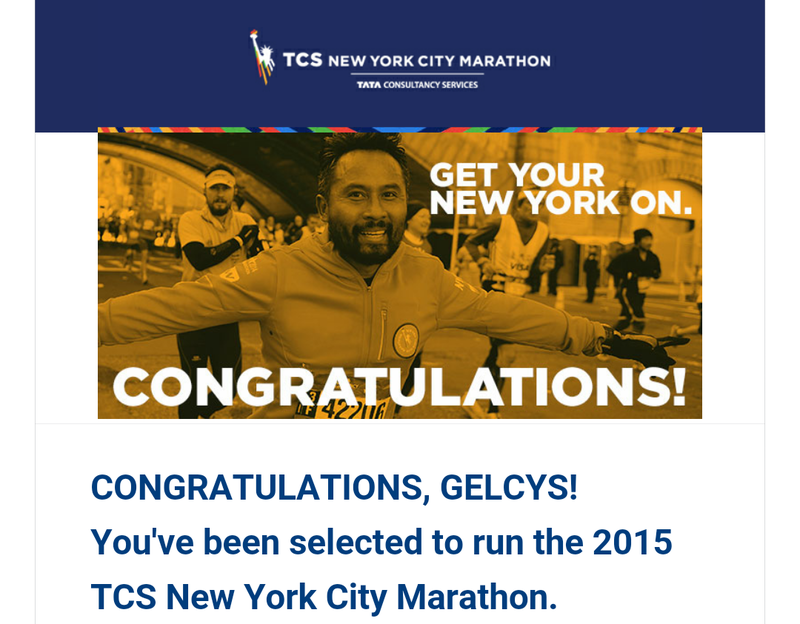 I am so happy and still floating in happiness that I was chosen in the TCS NYC Marathon lotto!!! I thought that I was dreaming when I saw it! So I woke up on March 3, ready and stressed about the big day! It was the day that everyone who put in for the NYC Marathon lotto finds out their fate. It was also the day that registration opened for the runDisney Wine and Dine Half Marathon. In true Disney fashion, I figured it would sell out quickly. I had spent all morning refreshing my NYRR account and checking my bank account. At 12 p.m. I had to switch gears, I had to be ready to register for the Wine and Dine and kept talking to the BFF because she was also registering, and might I add that it will be her first half marathon! YAY! It was go time! I flew through registration for Alpha and myself and I immediately text her to make sure she got in as well. It wasn’t even 20 minutes after 12 p.m. that registration closed because it was 100% full! These races are no joke with registration!!! But we all got in!!!! Hoping 2 more people from our team register when it opens to everyone in two weeks. Once that was over and done with I decided to check my NYRR account one last time being that I didn’t think anything would happen that early in the day. Logged in, and nothing. Still showed status as “in drawing”. Just for giggles I decided to check my bank account one last time..and there it was…my heart stopped when I saw a pending transaction for the New York Marathon. I immediately broke into tears…happy tears…unreal tears! I tried to compose myself enough to call Alpha at work, but I couldn’t. He barely understood what I said but he eventually did and asked why I’m crying. LOL I was in. I was going to New York! Is it possible? Is this real or was I in Wonderland? I checked my account one more time and called the BFFs, Janine and Carissa. Again in tears, had to repeat myself but once Janine knew what I said she also screamed and broke into happy tears! “WE ARE GOING TO NEW YORK!” she yelled. I started letting those know who had been nervously praying and waiting, but I still myself couldn’t believe it. Was my dream REALLY coming true? Am I about to reach the top of my dream list? When I struggled with my Scoliosis and all the problems I had I always wondered if I could ever do what I love. I spent a long, LONG time with numb legs. One of the surgeries left a piece of the rods in my spine irritating a nerve that went to my right leg. I spent about 6 months on crutches, in and out of the hospital and physical therapy. They assured me that I am headed for a struggle and I thought they were right. Just walking was killer pain, I can’t even describe it, let’s just say it was horrible. Every single movement hurt. I still have days like those and know I will continue to do so. 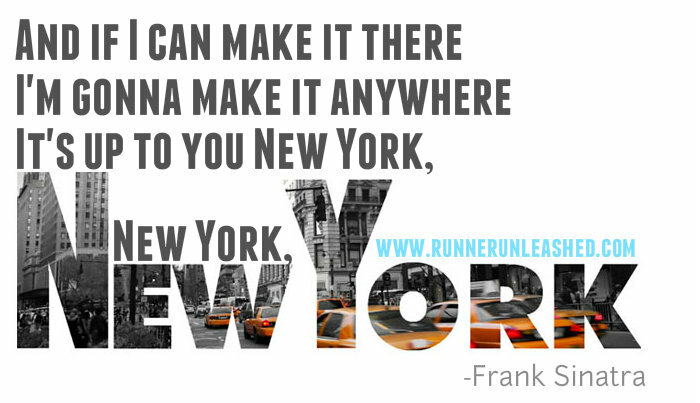 I have spent so hours, so many days, just dreaming of how my run would be in NY. Since the FIRST day I started doing raced 5 years ago, NY was always THE race, the BIG one, the IT race. I would wonder if I would ever make it. I have severe Scoliosis, lots of muscle damage, why would I get picked? Why would I be so lucky? Things like this don’t happen often and when they do, it’s a miracle of prayers, positivity, and friends that make it happen. TCS New York Marathon sent out a tweet to confirm that if the money was taken from your account that it meant you were in regardless if your status said “in the drawing”. I still was not believing it. LOL As I sat and waited for all my friends who entered the lotto to also have their money taken, excitement turned into worry and brokenhearted. As I tried to be a good friend and help keep the positivity going, the TCS New York Marathon announced at around 6 p.m. that the drawing was now closed for the U.S. and that emails and status changes will start to roll out shortly. Bummer for those that didn’t get in. At 7 p.m. this beauty arrived in my email inbox, it was literally official at this point. No use in doubting or wondering if I was stuck in Wonderland. This was real and I am going to NEW YORK! While it was a bitter-sweet moment since so many of my friends didn’t get in, they were exciting and genuinely happy for me and the kind sweet words all made me cry. I was flooded with comments, calls, and texts which I GREATLY appreciate so much! Once it started to set in I also realized Alpha will not be running with me. We have run 90% of the races together and this will be the first one I do alone. I wish he would be by my side embracing the beauty of New York, but he will be cheering me on from the side lines. I know he is proud and happy for me. 2 days later and I am still in awe that I got in being that only 18% of the entrants were accepted. Yes, I have also gone into my NYRR account and make sure it still says accepted. LOL This is just too unreal! Me? really? The dreamer? It’s happening! 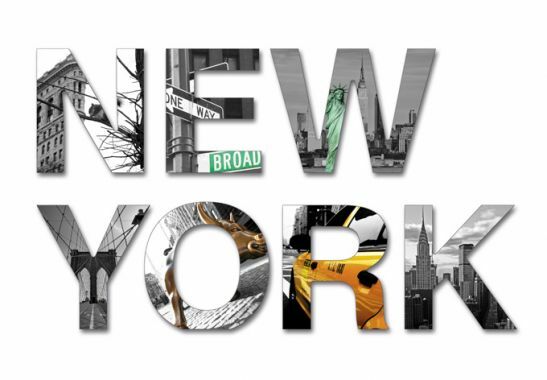 We are going to New York and I CAN NOT wait!!!!! Stay tuned as I start training and start the new adventure that is coming my way. I will start my training soon and be ready. I have a 10K in a few days and plan to run a few more races until November 1st. 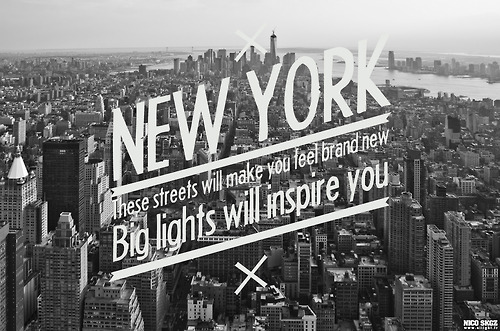 Congratulations to ALL who got in and can’t wait to run the streets of New York with you! I’m STILL crying and I’m so so proud of you! Let’s hear it for NEW YORK! 🗽🍎🚈🌁🎫💃🎉🐆 I love you! I am so happy for you! You have gone through so much, but you always come out a winner. Making It Happen!! Cheetah Strong!! Congrats! Have a wonderful time and good luck! Previous Previous post: Impossible is nothing. Next Next post: Track Shack’s Winter park Road race!